Der Artikel Rowland Burdon: Domestication of Radiata Pine wurde in den Warenkorb gelegt. 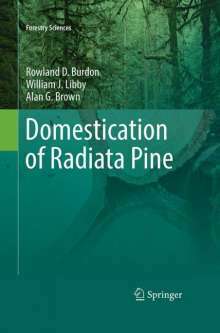 In nature, radiata pine is very localised and an obscure tree species despite the romantic character of much of its natural habitat. That obscure status and the lack of any reputation as a virgin timber slowed its due recognition as a commercial crop. Nevertheless, it has become a major plantation forest crop internationally. It has become the pre-eminent commercial forest species in New Zealand, Chile and Australia, with important plantings in some other countries. It consequently features prominently in the international trade in forest products, in addition to its importance in domestic markets of grower countries. Very fast growth, considerable site tolerances, ease of raising in nurseries and transplanting, and ease of processing and using its wood for a range of products and purposes, have made it the utility softwood of choice almost everywhere it can be grown satisfactorily. Abundant genetic variation and its amenability to other management inputs created special opportunities for its domestication. The story of its domestication forms a classic case history in the development of modern commercial forestry, with trailblazing in both genetic improvement and plantation management; this inevitably meant a learning process that provided instructive lessons, especially for tree breeders dealing with some other species. Paradoxically, the plantation monocultures have played and can continue to play an important role in protecting natural forests and other forms of biodiversity. Given the attractions of growing radiata pine, there were inevitably cases of overreach in planting it, with lessons to be learnt. 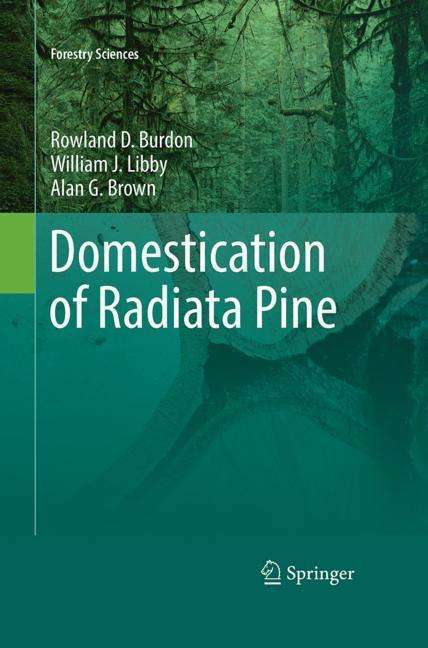 Economic globalisation has meant globalisation of pests and disease organisms, and the scale on which radiata pine is grown has meant is has been the focus of various biotic alarms, none of which have proved catastrophic. Temptations, remain, however, to pay less than due attention to some aspects of risk management.